Cinderella kicked the box office out of its late winter slumber last weekend, and now we have a high profile sequel that has some high expectations. Insurgent (or officially, The Divergent Series: Insurgent) is the second book and now film in the series that started with last year’s Divergent, about a futuristic society where everyone is divided up into various factions but then the whole system is thrown into disorder because one girl chooses to challenge it and nobody ever developed any contingency plan should this sort of thing happen. You may not have realized it, but Divergent was one of the better box office stories of 2014, opening strong with $54.6 million and finishing with $150.9 million, and earning a little less than that overseas, all off an $85 million budget. While it’s not much a shock to see the second film come exactly a year later, Lionsgate also announced that the final book, Allegiant, will be split into two movies, a suddenly questionable decision after what happened with Mockingjay Part 1. Audiences are catching wise to this obvious cash grab and will be less likely to pay for what’s merely the road trip to the fireworks factory, especially when it comes to second tier material like the Divergent series. But that’s a discussion for next time. 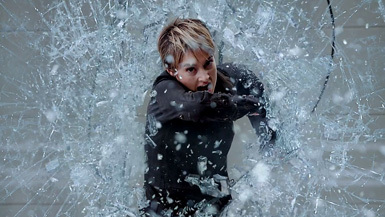 Shailene Woodley (who between Divergent and The Fault In Our Stars, had a very good 2014 at the box office) reprises her role as She Never Asked For This But She Is The Only One Who Can Save Us (h/t @DystopianYA), and Insurgent also returns all the major players from Divergent, including Theo James, Kate Winslet, Ashley Judd, Maggie Q and Jai Courtney and adds Octavia Spencer and Naomi Watts. You can’t argue that they skimped on the casting budget.